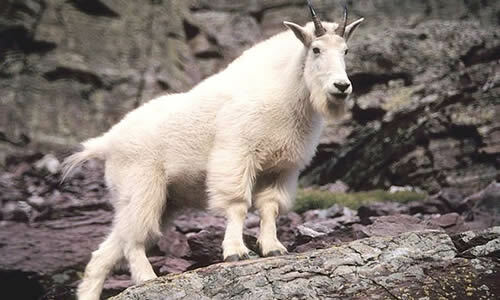 The mountain goat is the true master of the mountains. While others descend to warmer elevations or hibernate, the goats tough out the worst of the winter. In the middle of winter, one hundred-mile-an-hour (161 kph) arctic winds blast the summit of Idaho’s Pioneer Range. Yet the mountain goat calls these peaks home at twelve thousand feet (3,658 m). Here they feed on the tips of the highest growing trees, themselves at the limit of their range.